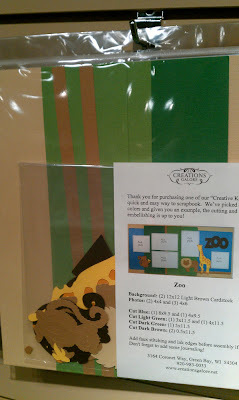 Creations Galore Blog: Introducing Creative Kits from Creations Galore - Easily create a double page scrapbook layout! 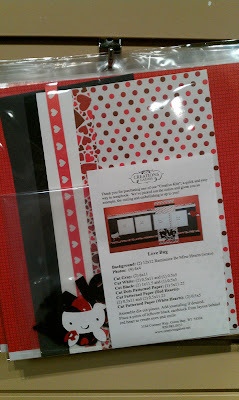 Introducing Creative Kits from Creations Galore - Easily create a double page scrapbook layout! Creations Galore is happy to announce the newest addition to our store: Creative Kits! Our Creative Kits include the cardstock, patterned papers, die cut pieces, and journaling blocks needed to complete one double page layout. 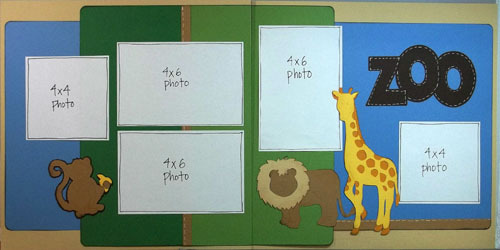 Cutting and assembly instructions, as well as a color photo, are included in the kit as well. All kits are $8.99 and can be purchased online or in store at 3164 Coronet Way in Green Bay, Wisconsin. What do you think of the new kits?